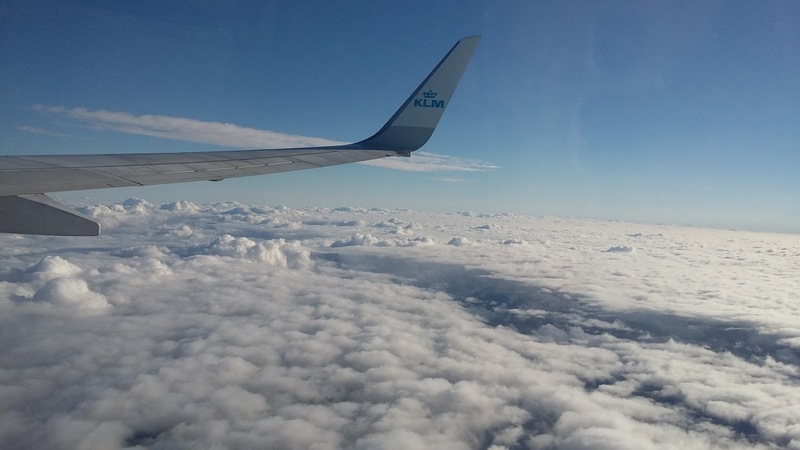 Today is my birthday, I am just home after gallivanting around - I went to Amsterdam with the girls and then off for two nights with my o/h around Scotland. 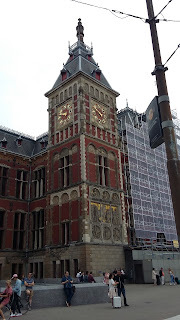 The buildings in Amsterdam are beautiful, some squint and tipped forward, apparently this is because they use pulleys to get heavy goods up to the flats and by tilting the buildings they reduce the risk of damage to the building and furniture. 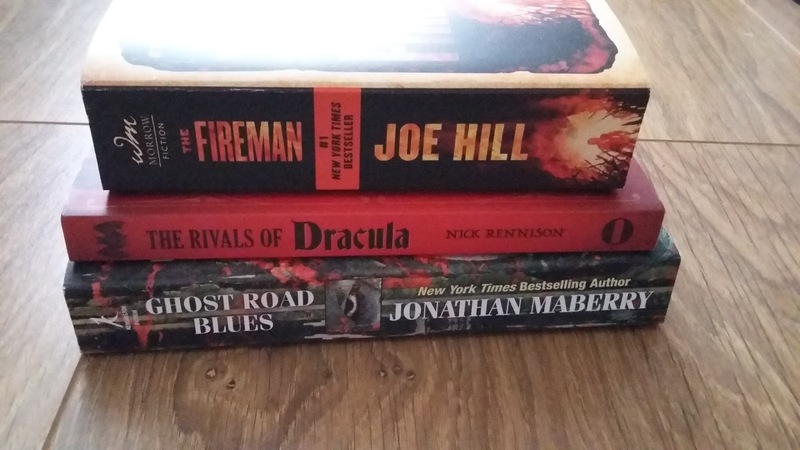 I found a few bookstores there but only one that sold books printed in English, I ended up buying three, I was restricted as I only had hand luggage with me. I bought The Fireman by Joe Hill, The Rivals of Dracula by Nick Rennison and Ghost Road Blues by Jonathan Maberry. Then driving around Scotland for a wee road trip with the o/h. 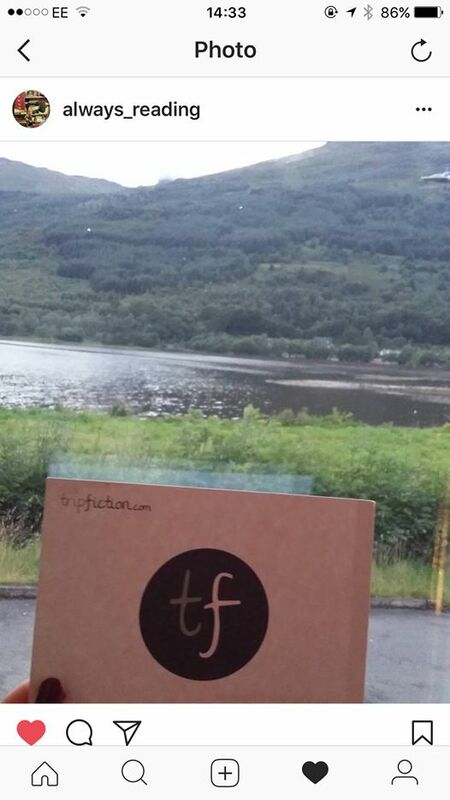 There was some stunning views, I took my wee TripFiction postcards with us. If you haven't heard of them please check out their website HERE. 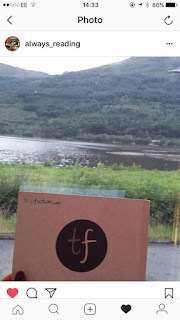 TripFiction matches up readers to books by locations, it is such a great idea and they have a FB/Twitter account and do giveaways. 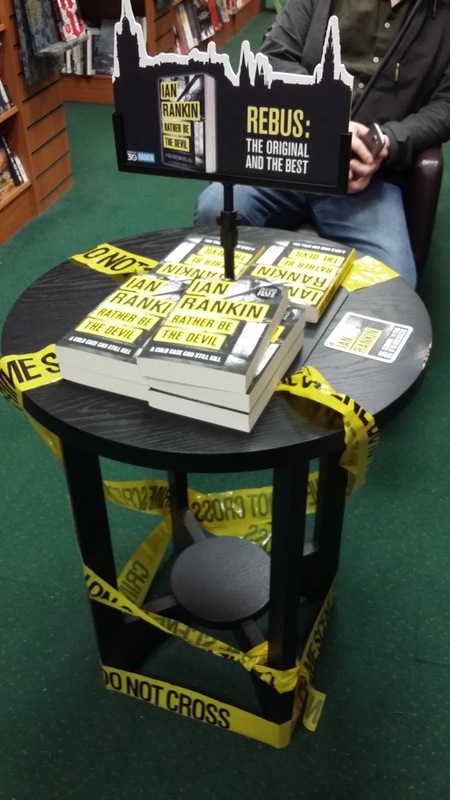 We stayed overnight in Oban and I found a Waterstones, they had some great book displays out, the new Rebus book by Ian Rankin with the crime scene tape, small things can be so eye catching. 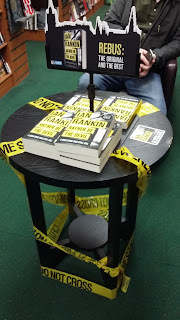 I tweeted the piccy to Rankin, I think authors must miss so much stuff and I love things like that and I am just a reader. 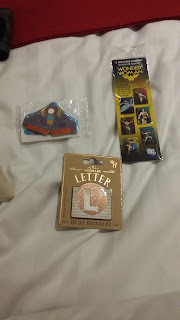 I also bought some wee bits and bobs from Waterstones, I had been given money for my birthday and saw some bookmarks, who can resist. I also found a Star Glider, you remember those Styrofoam aeroplanes from the 80s? If not see the picture, this is a mini one and I thought Princess Trixie (the kitty cat) may enjoy it. Wonderwoman magnetic bookmarks and a wee metal one with my initial. 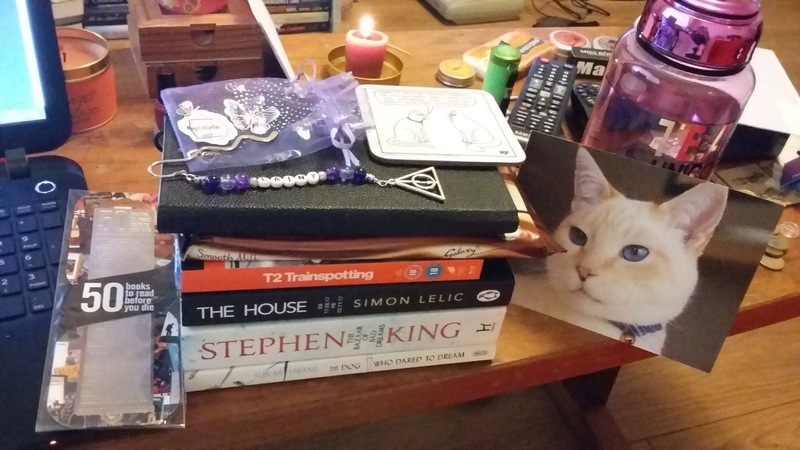 I think I did pretty well not to buy any books, o/h pointed out buying a book would have been cheaper, just no pleasing the non book geeks! 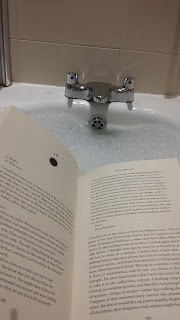 I spent the last night in a deep bubble bath with my book relaxing and then we traveled home today, stopping off at a castle where we found a birds nest with four babies in it, you can find loads of piccys from the trips on my Instagram, click HERE. So after all that travelling tonight is chill, I am re reading IT by Stephen King and finally got a reason to break out the new bookmark to match it. My book is one of the older ones, 1987 I believe and published by BCA Hodder & Stoughton. 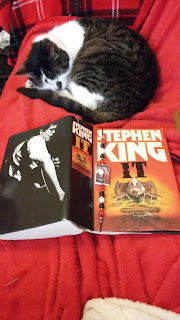 I wanted to reacquaint with the book before the movie comes out, I have re watched the old one, love Tim Curry as Pennywise, totally freaks you out. Hope you guys are having a great night and chilled Sunday. Lovely photos. It looks like you had an amazing trip! Thank so much for sharing! Happy Birthday Lainy! It sounds like you had a great trip. I think that I read It sometime around 1987 myself! Hopefully the film will be good. Hi Lainy, Happy Birthday. Soumds like you had a great trip and Scotland and Amsterdam are beautiful. Sounds like you had a good few days away!!! Happy birthday, Lainy! I have been away for the past few days, which is why this is belated. I hope the year ahead is your best yet. 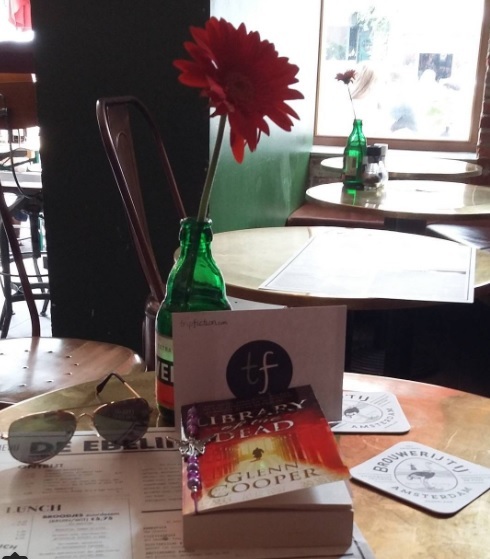 Thank you for sharing your lovely post and photos.